Are Crib Tents Safe for Toddlers? A crib tent is a cover that attaches to a crib to prevent a toddler from climbing out of the crib. In some cases, it also prevents pets from climbing into the crib. Time and again the American Academy of Pediatrics (AAP) has warned that crib tents can be dangerous, particularly during emergency situations, because it can be extremely time-consuming to detach the top part of the tent and remove the child. Crib tent models from Tots in Mind, Inc. were recalled in 2010 and 2012 following tent failures including one catastrophic brain injury, and one fatality. The dangers of these models were entrapment and strangulation, which could happen if the dome inverted inside the crib or play yard or became partially detached. These crib tents were widely sold at major retailers. Reposition crib items. Before you give up on your current crib or buy a crib tent, see if you can make the crib less "climb-friendly" by removing items including crib bumpers or padding and lowering the mattress. Crib bumper pads are also strongly discouraged by the AAP as they also have the risk of suffocation, strangulation, and other serious injuries. A convertible crib. It seems like more and more parents are turning to cost-effective convertible cribs designed to transition with a child. By converting your crib into a bed, you may be able to remove the thrill of climbing. Your toddler will feel less confined, and if they do want to get out of bed they can do it safely instead of dangerously climbing over the side of a crib. A toddler bed. 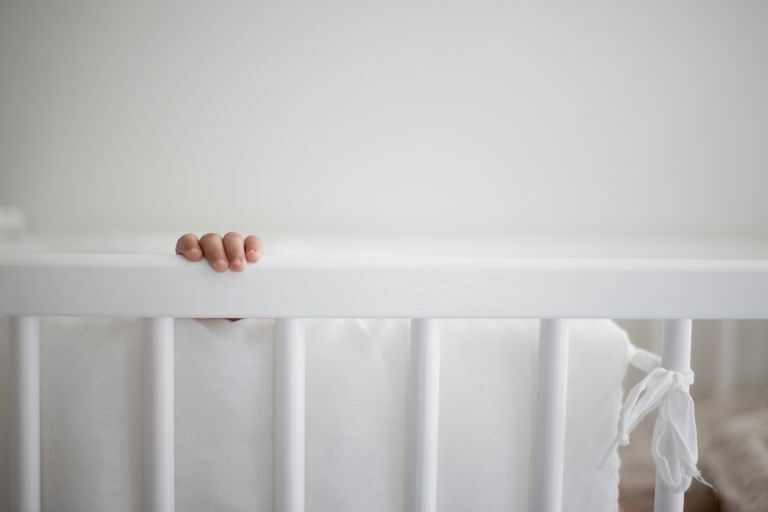 A crib is not likely to be able to hold a child who is more than 36 inches tall, so transitioning to a toddler bed might be your best option for a taller child. Visibility: You should be able to see your child clearly through whatever material the tent is made from. However, be aware that children were endangered when they were able to tear the mesh of the recalled crib tents. Breathability: The material should allow for good air circulation so your child is not at risk of overheating, suffocation, or SIDS. Space: Your child should be able to comfortably stand and even jump up and down when the tent is secured. If the tent makes your child feel trapped and constricted, it could cause emotional discomfort and prevent a good night's sleep. Ease of use: Look for a crib tent that is easy to attach and detach, but won't come loose if your child fusses with it. Be aware that many toddlers are accomplished escape artists, and if she can detach the crib tent it will create a very dangerous situation. Safety: Choose a crib tent that is flame retardant. The mesh must be highly resistant to tearing by your child and pets. Five Retailers Agree to Stop Sale and Recall Tots in Mind Crib Tents Due to Strangulation and Entrapment Hazard. Consumer Product Safety Commission. Yeh ES, Rochette LM, Mckenzie LB, Smith GA. Injuries Associated With Cribs, Playpens, and Bassinets Among Young Children in the US, 1990-2008. Pediatrics. 2011;127(3):479-486. doi:10.1542/peds.2010-1537.